For patients with low back pain from disc damage who have tried conservative treatments without success for more than six months, artificial disc replacement is sometimes an option worth considering. ADR is an alternative to spine fusion surgery where the damaged disc is replaced with one of two devices approved for such use by the FDA. For LBP sufferers, it presents a less-invasive relief option. Just because a patient isn’t responding to non-surgical spine treatments doesn’t mean any type of surgery is the next option. A combination of X-rays, CT scans, and MRIs are used to evaluate the lower spine and supporting joints. Since LBP can have multiple sources, process of elimination is also part of the diagnostic process. Most people experiencing LBP aren’t going to need surgery. Even when ADR does become a possibility for a patient, surgeons may recommend traditional spinal fusion surgery. Before agreeing with recommendations, patients are encouraged to seek a second opinion and explore non-surgical treatments that may not have been previously considered. If you’re considering disc replacement or would like a second opinion, reach out to Dr. Bae and his team at The Spine Institute Center in Los Angeles. 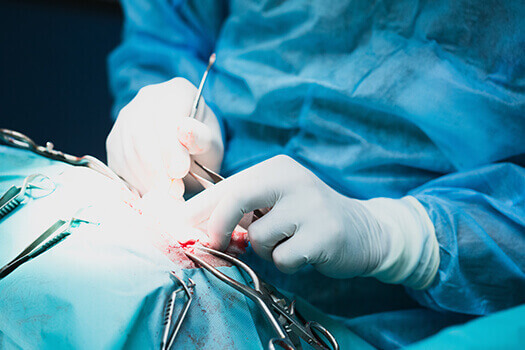 Dr. Bae, an expert of spine surgery Santa Monica patients can turn to, and his team of diagnosticians and spine specialists can confirm your diagnosis and may be able to offer additional treatment options. Schedule an in-person consultation by call (310) 828-7757 today.